Take the lift to the second floor and you will be wowed by the magnificent living area with its vaulted ceiling and stylish decor. Cowhide sofas and light shades are complemented by sensational modern glass chandeliers and the crackling log fire is the focal point of the room. Venture out on the balcony in front of the imposing "rock", your red cedar Hot Tub fuelled by a log burning stove is the ideal place to enjoy a glass of Perrier Jouet house champagne while gazing at the stars. Back inside, your very own private bar is perfect for a pre-dinner cocktail or post dinner drinks party. Le Rocher has seven beautifully designed bedrooms which feel truly alpine with reclaimed wood from Mongolia and intricately carved furnishings. Each bedroom has an en-suite bathroom and AV facilities. The master bedroom suite is pure indulgence with his and her dressing rooms. 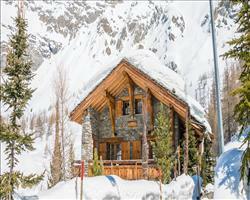 This ultimate Alpine chalet has just about everything you could want for. The facilities in Le Rocher include a 7x5m indoor swimming pool with jet stream alongside a steam room disguised as a tiny chalet. This fabulous spa has its own cinema projector with integrated sound and the gym is equipped with a range of exercise machines. Chalet Le Rocher comes complete with your own team, comprising of a manager, chef, chauffeur, host and daily housekeeping. They are trained professionals who are based in Le Rocher all season, dedicated to creating the perfect tailormade ski experience for you and your guests. The winter booking price includes: • Luxury accommodation on your chosen dates. 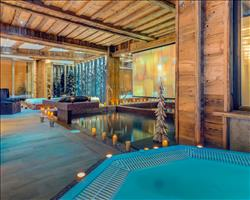 • Exclusive use of the chalet and its facilities. • Champagne reception. • Dedicated service from a professional team. • Tea or coffee in bed, breakfast and afternoon tea daily. • Children's supper every day. • Champagne and canapés daily. • Mouth watering dinners prepared by the chef - menu created with you (6 nights). • Range of selected house wines and champagne. • An open spirit bar and a range of soft drinks. • Luxury bathroom products. • Fresh flowers and daily newspapers. • In resort private chauffeured 4x4 VW Caravelle. We can also arrange on your behalf: • Private flights. • Use of airport lounges worldwide. • Resort transfers by taxi or helicopter. • Car hire. • Comprehensive winter sports travel insurance. • Special family and corporate activities/events. • In-chalet equipment fitting and lift passes. • Ski lessons and guiding from hand-picked guides. • Extensive in-resort activities. • A la carte wines and champagnes. • In-chalet childcare. • Personal laundry service (in-house and dry cleaning). • In-chalet massage and beauty therapy. The mountains are a magical place for children, a winter wonderland of snow. We understand that if your children are happy, you are happy, which is why we ensure that every aspect of your stay is tailored to your personal requirements. We are delighted to launch our new Children's Club this winter. All children staying in one of our chalets will meet Charlie Bear. He is waiting for them on their bed, complete with their personalised kids challenge card. The chalet team will help your children complete these during the week. Challenges include design your own pizza with the chalet chef, make the best snowman and create the craziest snow dance ever! At the end of the week your child will have a chance to win Charlie's special prize. We can arrange spellbinding experiences such as husky sledding, or an expedition to your own private igloo. Contact us to find out more! we have a passion for fine food and drink. We only use the finest ingredients and wherever possible, local and seasonal produce, sourced from markets and farms. We ensure that your dining experience is bespoke, rather than routine and our chefs will be delighted to discuss your requirements. For formal dining they can create gastronomic magic; if you want local specialties classic dining or comfort food in front of the TV, they can do that too. We stock a range of excellent house wines, but if you have any requests, however rare, we will track them down and have them ready for you when you arrive. Of course, there is always a well stocked bar with your favourite spirits along with chilled Perrier Jouet champagne waiting for you and your guests throughout your stay. We update Chalet Le Rocher's details often, but facilities do change. e.g. some extras listed by the supplier as "free" or included might only be for the first time you use them, or for one time per party, then charged for further use. If any specific feature is essential to your holiday, make sure you ask us to confirm the details of it before you book your holiday. This accommodation only holiday to Chalet Le Rocher in Val d'Isere, France departs Sunday 19th April 2020, for a 7 night stay on a "catered chalet" board basis. A local tourist tax (Taxe de Sejour or Kurtaxe) is levied by many councils in European ski resorts. It varies by standard and type of accommodation and is age dependent, so not everyone is charged. It's not included in the basic price of your holiday and is usually paid locally. For reference, the average charged in winter 15/16 was between 50p and £2 per person, per night. Val d'Isere lift pass price last reported as €294 (adult 6 day). Ask for a quote when booking Chalet Le Rocher. 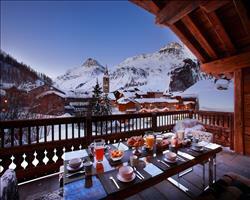 Chalet Montana Val d'Isere France, Without Flights to Without Flights 19th April. 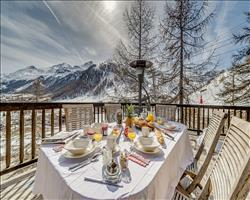 Chalet Lhotse Val d'Isere France, Without Flights to Without Flights 19th April. Marco Polo Val d'Isere France, Without Flights to Without Flights 19th April. 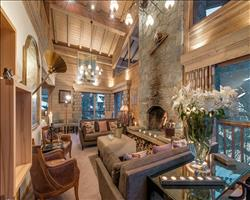 Chalet Elephant B... Val d'Isere France, Without Flights to Without Flights 19th April. Chalet Calistoga Val d'Isere France, Without Flights to Without Flights 19th April.